In this series of posts I'm attempting to steer your attention away from the standard or well-known (and frequently overworked) gold areas we hear about so often, particularly here in the Lower 48 states. I believe each of the areas I'm writing about holds at least decent gold potential for small-scale prospectors and miners. Mining and rock hounding have always been popular pursuits around the southwestern New Mexico town of Deming. Recently I came across some info about the Deming area that may prove attractive to those of you out there with at least a modicum of gold ore identification and prospecting experience. I don't know if the old Mahoney gold mine is still listed on topographic maps of the Deming area, but if it is that's the general area you want to focus your attention on. 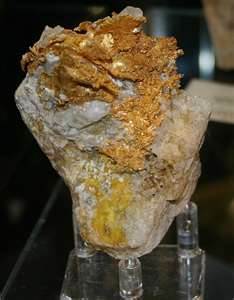 The Mahoney workings were some distance southwest of Deming itself and although the gold ores there proved spotty at times, very rich pockets of high-grade gold ore were mined there on occasion. The real locale I want to stress here is not the Mahoney, but areas close by or adjoining it. It seems that back in the late 1940s a couple of part-time gold prospectors stumbled upon gold-bearing "float" near (but not on) the Mahoney Mine's claim boundary limits. This fact isn't anything much of and by and itself. 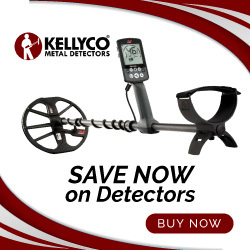 However, when you learn that some of the ore samples these two individuals picked up assayed out at 19 troy ounces of gold per ton, flashing red lights should start going off in your head. It goes without saying that this is rich ground, especially when you consider the fact that ore assaying at .25 ounces per ton was considered decent and workable back in the old days. An added benefit here is that (as far as I have been able to research) these two individuals failed to follow up their rich find with any sort of real mining venture. This means some of that rich ore may still be scattered about or a ledge remains to be found. Are there gold placers in the Deming area? Yes, a few...but none of major consequence. However, areas such as this can contain very rich but localized elluvial or alluvial gold placers scattered about in terraces, washes, and arroyos. Any placer gold found here should be quite coarse as well. 1) Avoid prospecting this area in the heat of summer...you won't be a happy camper and could place yourself at risk. 2) I have no idea what the access issues near the Mahoney are these days or the ownership status of adjoining claims or property, so do your homework first. If you liked this post, you may want to read: "Main Gold Placer Areas of the Yukon Territory"